Image courtesy of Glamour Magazine. 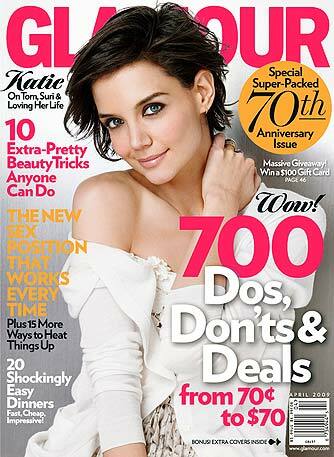 No more gossip regarding Katie Holmes being pregnant! Just because she is dressed in loose-fitting clothes might merely mean that she really wants to feel comfy.